Vectors play a huge role in physics, as clearly represent the forces acting on the body. For solving problems in mechanics in addition to knowledge of the subject need to have an idea about the vectors. Vector addition by the triangle rule. Let a and b be two nonzero vectors. Put the vector a from the point O and denote it by the end of the letter A. OA = a. Aside from the point And the vector b and denote it by the end of the letter V. AV = b. Vector with starting point O and end point b (S = C) is called the vector sum of a and b and write C = a + b. About vector with saying that he received as a result of addition of the vectors a and b. The sum of two non-collinear vectors a and b can be constructed by a rule called a rule of the parallelogram. Aside from the point And the vectors AB = b and AD = a. Through the end of the vector and draw a line parallel to the vector b, and through the end of the vector b – a direct parallel to the vector. Let the point of intersection of the constructed straight lines. Vector AC = C – sum of the vectors a and b.
Nonzero opposite vectors have equal length (|a| = |-a|) and in the opposite direction. The sum of the vector a and the vector opposite the vector b is called the difference of two vectors a – b, that is, the vector a + (-b). 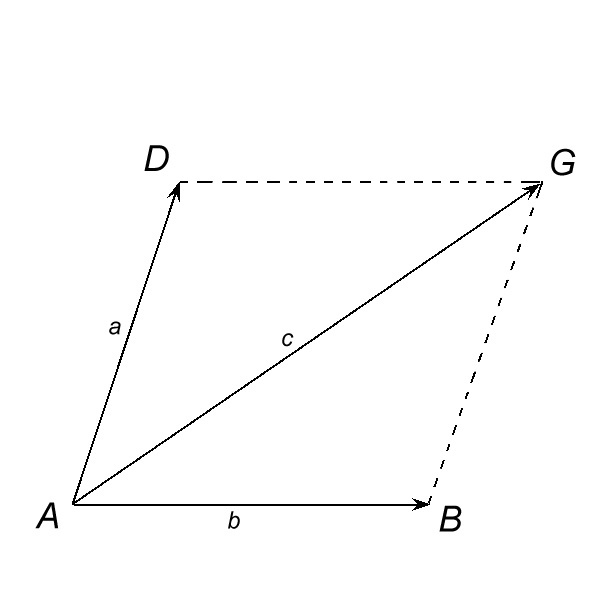 The difference of two vectors a and b denoted a – b. 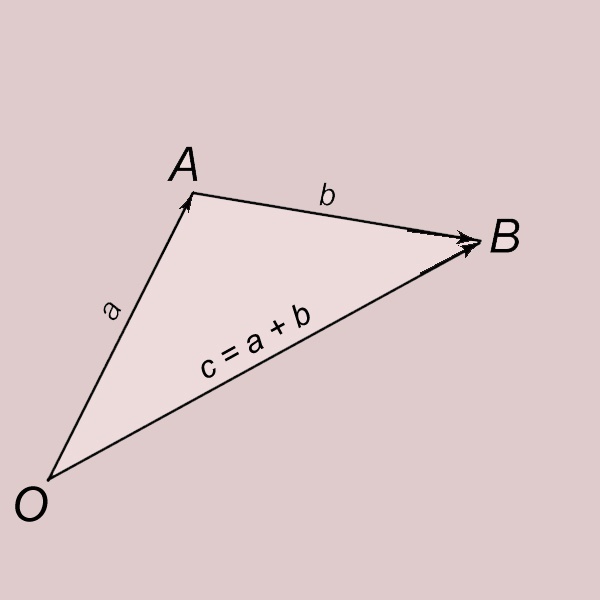 The difference of two vectors a and b can be obtained using the triangle rule. Aside from the point And the vector. AB = a. 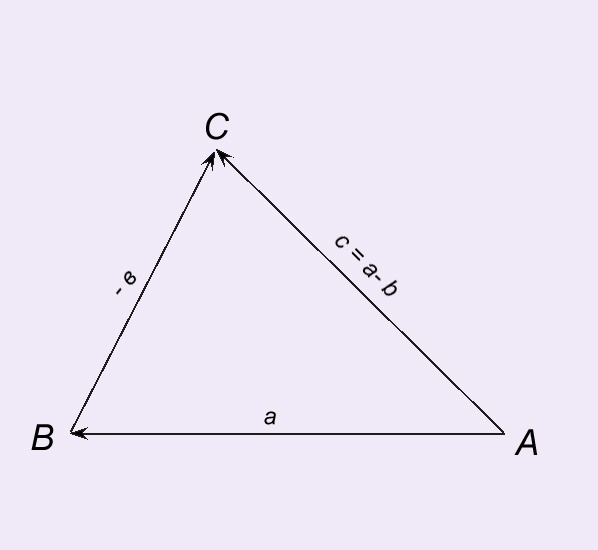 From the end of vector AB put the vector BC = b, the vector AC = c – a difference of vectors a and b. C = a – b.